The Penans predominantly live in the Kuba’an-Puak area. 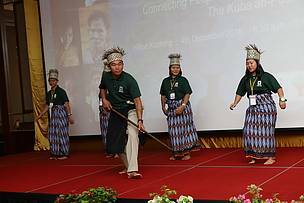 Kuching: Sarawak is on the right track in implementing good sustainable management of its forests as timber companies are getting their concessions certified. Forest Department Sarawak Director Hamden Mohammad said timber companies operating inside and near the Heart of Borneo (HoB) region have been responsive towards the state government’s call to undertake Forest Management Certification. In 2014, the government announced that timber certification is mandatory for timber companies operating in HoB area. This policy is now extended to all long term forest timber licenses in Sarawak to go for certification by 2022. “To date, we have four forest management units (FMU) that have been certified, with a total area of 423,917 ha. Three FMUs are inside HoB area totaling 340,382 ha. Two more FMUs have already carried out Stage 2 audit, and we are looking forward to having these two FMUs to be certified soon,” he said. 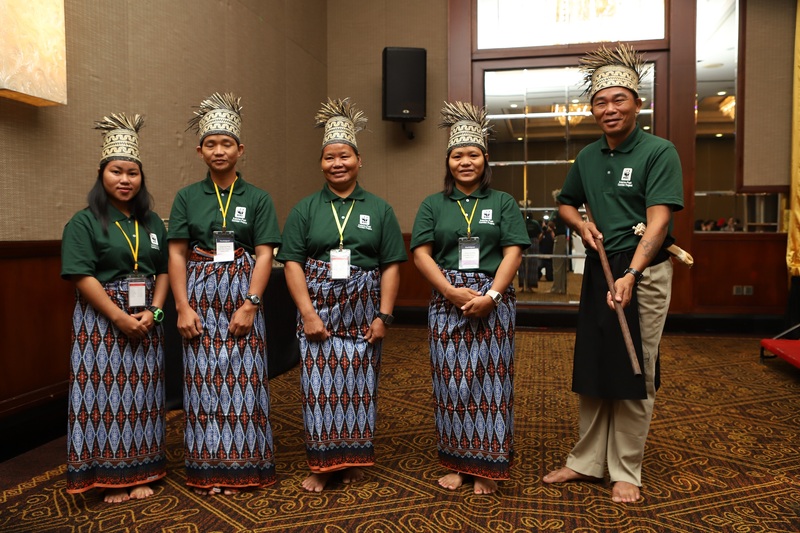 “I am glad to announce that Borlin Forest Management Unit (FMU) which is also known as Kuba’an-Puak FMU in Ulu Tutoh, Baram, will be going for certification,” he said when officiating at the Kuba’an-Puak FMU Project Finale workshop here today. The workshop is themed, "Connecting People, Connecting Forest: The Kuba'an-Puak Story". During the workshop, stakeholders presented success stories, challenges, lesson learned and next steps to be taken to carry on the project to the next phase. Hamden said the pilot project, Sustainable Forest Management in East Malaysia: Kuba’an-Puak FMU in Sarawak, started since early 2015. The main goal of the project is to develop a model for sustainable forest management in a tropical forest landscape which is environmentally friendly, economically successful and socially appropriate. 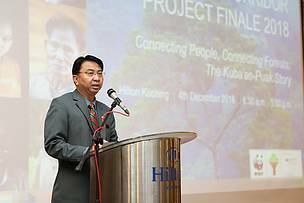 The project area spans about 360,000 hectares, covering multiple forest management units, between Mulu National Park, Pulong Tau National Park and Gunung Buda National Park. The project is part of the Heart of Borneo (HoB) Corridor Initiative by the governments of Brunei Darussalam, Indonesia and Malaysia. Forest Department Sarawak collaborated with WWF-Malaysia and WWF-Germany to implement this project, which is funded by the German Federal Ministry for Food and Agriculture. The department also works closely with Sarawak Forestry Corporation, Agriculture Department Sarawak, Malaysian Handicraft Development Corporation, Telang Usan District Office, Kuba’an-Puak FMU, as well as other civil societies such as Non-Timber Forest Product-Exchange Programme, and Community Information and Communications Centre. Hamden said it is important to form connectivity between protected areas in Sarawak and Sabah, and in Borneo as a whole. While the government is working towards achieving its target of 1 million ha of totally protected areas, production forests also have significant roles to play in conservation, and to ensure the interest and needs of local communities are not neglected. He said the project gathered important baseline data which led to community-based and conservation activities being implemented on the ground in line with the principles of sustainable forest management and community stewardship of natural resources. To date, activities implemented included tagang, handicraft development and marketing, sago and rattan replanting and subsistence farming. These activities are identified upon consultations with communities, particularly the Penan, who form the majority of the populace in the FMU. “More importantly, a proper communication platform for local community to be involved in decision-making process related to sustainable forest management or SFM has been set up in July 2016. The platform is called Kuba’an-Puak Community Representative Committee (CRC),” he said. The CRC then led to the formation Sustainable Forest Management (SFM) Liaison Committee that acts as a bridge linking the community with the timber company operating in the area, forest authorities and other government agencies who oversee the management and operation of the timber industry, he explained. Earlier, WWF-Malaysia Head of Sarawak Conservation Programme Dr Jason Hon said the pilot sustainable forest management project in Kuba’an-Puak FMU could not have achieved this far without collaboration and commitment from all stakeholders – the government and private sectors, NGOs and civil societies, and community in the past four years. “There is a common goal among all stakeholders which is to achieve sustainable forest management through good governance and co-stewardship. Each stakeholder that we engaged in Kuba’an-Puak has important roles to play in ensuring that this FMU is sustainably managed and will obtain certification in the near future,” he said. 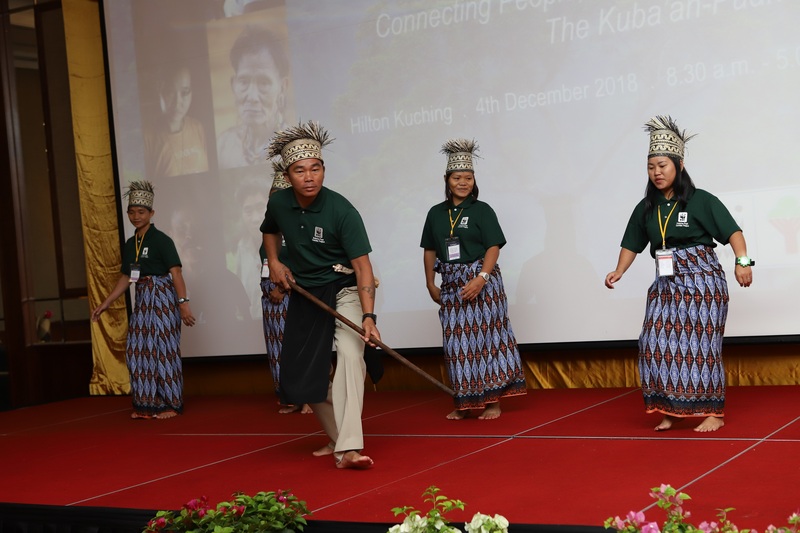 The partnership formed in Kuba’an-Puak reaffirmed the roles of every stakeholder in helping to push the government’s conservation and sustainable development agenda, namely sustainable forest management, he said. 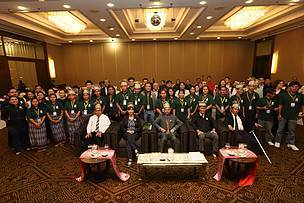 It is pivotal that authorities in the state recognise civil society engagement as one key stakeholders, the people as joint custodians to the state’s natural resources, while government agencies as authority in ensuring that the integrity and legality of logging operations in Sarawak is uphold, he pointed out. Kuba’an-Puak CRC Chairman Asai Berat thanked all government agencies, NGOs, timber company and project donor for listening and acting to their needs. “Looking back over the past four years, I feel confident to say on behalf of the Kuba’an-Puak community that the quality of our life has improved in good measure. We now have good access to health centres, schools, and markets. Our social and economic activities have diversified. We are also actively involved in SFM." “We have a better understanding of the outside world. Most importantly, the FMU is now recognising us as part of the system of forest management. Our community looks forward to a continued sustainable management of our forest and its resources,” he said. Enthusiastic: The Penans show off their traditional dance as the opening for Kuba’an-Puak Workshop. 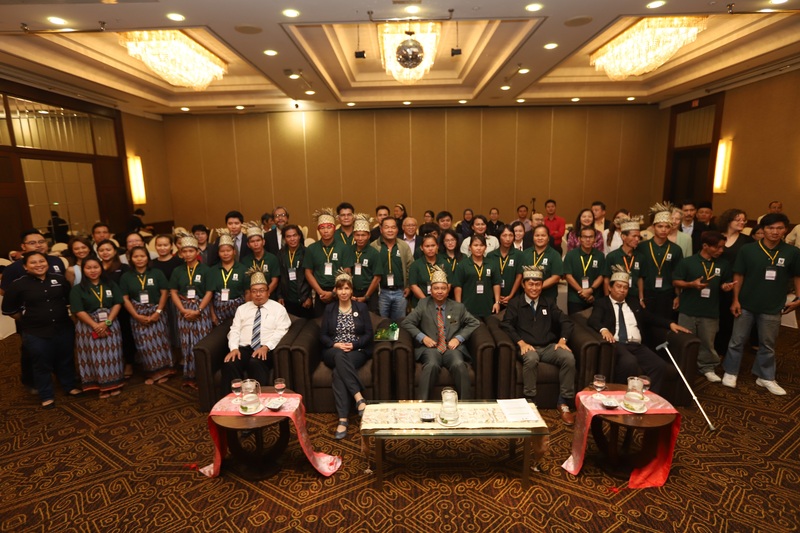 Director of Forest Department Sarawak, Hamden Mohammad, stressed the importance of forming connectivity between protected areas in Sarawak and Sabah, and in Borneo as a whole. 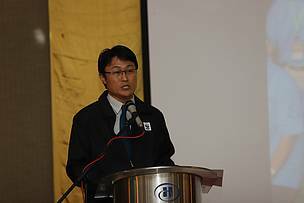 Dr Jason Hon, Head of Sarawak Conservation Programme, thanked everyone who has been involved in this project since 2015. From left: Ling Tiing Tchin (Ta Ann Holdings Sdn Bhd), Jenny Walther-Thoss (WWF-Germany), Hamden Mohammad (Forest Department Sarawak), Dr. Jason Hon (WWF-Malaysia), Shahbuddin Shabkhi (Forest Department Sarawak) and all participants commemorate this workshop by taking a photo together.